Yup! I want YOU to be my HUCKLEBERRY! Who wants to be a commonplace and unpretentious Valentine!? The word is so overused and so blasé! 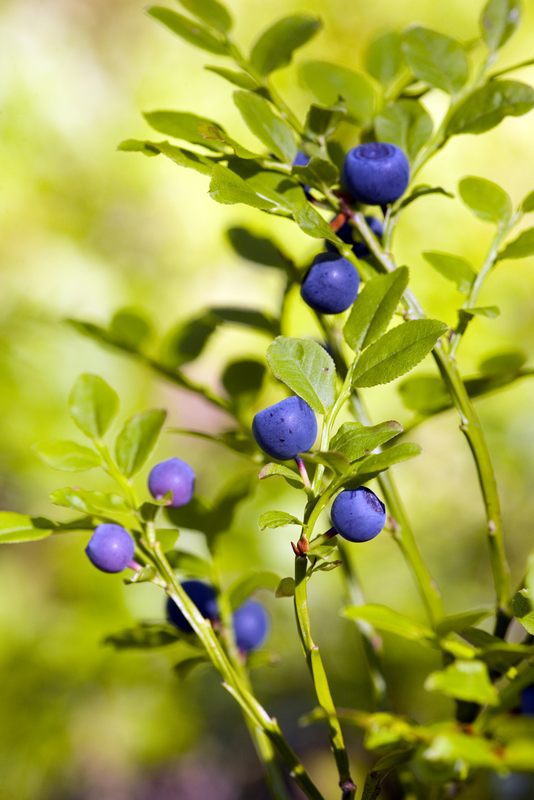 The word huckleberry has more oomph and meaning and pizzazz! I would love for you to be my HUCKLEBERRY. What do you say? I love words! Huckleberry is one of those words that rolls off the tip of your tongue and just makes you feel alive and robust. Furthermore, huckleberries are heart-healthy and being an alliteration addict, it just sounds so perfect together with all the words melding one into the other – the humble, heart-healthy huckleberry. Similar sounding words are part of the pressing human need to shape and order life. Turning to the Dictionary of American Regional English, I found the word huckleberry to take on a meaning comparable to “you have been discovered,” “the desired or suitable person for a task” or just “an all-around nice person or even a sweetheart!” Although small, huckleberries are special, as seen in the phrase “the only huckleberry on the bush,” demonstrating something unique and exclusive. “I’m your huckleberry” is a phrase that denotes one as “just the right person for the job.” It has a range of slang meanings from the 19th century with an emphasis on a huckleberry as a significant or nice person. Are you more fascinated with the possibility of being “my huckleberry” now? Perhaps a more personal connection would be the unforgettable Andy Williams serenely crooning the tune “Moon River.” Your nostalgia should be in full bloom now. Can you envision him and hear the words? And then there is Mark Twain’s infamous and endearing character Huck Finn. How could he not bolster your desire to be a huckleberry? When conversing with a friend, (Of course, we were both on a treadmill aside each other, when we were conversing! Being heart-healthy is always the prime concern!) I found out that he, as a young lad, would pick huckleberries and sell them on the corner for twenty-five cents a quart. This carefree boyhood activity was the beginning of his entrepreneur and business relationships. I thought, huckleberries, huh? What the heck are huckleberries and how come I have never heard of them? Are huckleberries a heart-healthy choice? I found out that huckleberries are not grown commercially and must be picked in the wild. That explains why I have not heard or seen them. Apparently, huckleberries look just like blueberries and can even be confused with them. They taste similar to the blueberry but are a bit more tart and contain seeds that give them a unique, crunchy sort of texture. The health benefits are similar to blueberries, making them VERY heart-healthy. ♦ So, let’s have a perfect huckleberry day together. What would your perfect huckleberry day look like? ♦ We could start the day with huckleberry scones (or huckleberry bagels or huckleberry pancakes, your choice, huckleberry friend! Oh, of course, the pancakes come with huckleberry syrup too.) We would sip on huckleberry coffee or tea and listen to Andy Williams sing about his humble huckleberry friend. 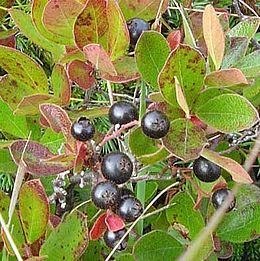 ♦ We could take day trip to someplace warm with the intention of picking huckleberries. Does anyone know where we can find huckleberries for the picking? 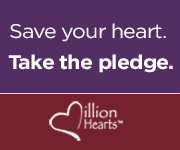 ♦ What could be better than attempting some heart healthy behaviors? February is American Heart Month. It is this time that we explore the importance of a strong heart for a strong body. We will discover how to stay fit and healthy. We will challenge ourselves to be active, healthy and smoke-free. ♦ We will celebrate the love of family, friends and good health with positive behaviors. ♦ We’ll be purposeful, yet care-free and self-indulgent, taking on the world with all its possibilities, much like Huck Finn. We will think noble thoughts with our heart in the right place, yet proceed in a reckless, child-like sort of way. ♦ We will THINK RED. We will wear red and eat red! (I hope I find my new red dress by then!) We will eat red bell peppers and tomato sauce and cherries and strawberries and red beans and drink bloody Mary’s. (Low-sodium, of course!) We could choose a glass of red wine also, or instead of the bloody Mary. After all, red wine is shown to reduce the risk of blood clots and improve cardiovascular function. ♦ Know that it will be a time for laughter, fun and food, adding all of your ideas and plans to the day..
What could be better than a huckleberry friend? Will you be my huckleberry? Just a unique and humble huckleberry. Because you’re state of the art. A fact I must emphasize! I know it’s all my unending cry. And always attempt running the stairs. And you know that exercise gives you a firm tush. So…Will you be my huckleberry?! Yes, I will be your huckleberry!!!! Will you be mine? I am wondering if you can buy huckleberry? Where do they grow? I LOVED your literary finesse..use of alliteration and couplets!!! THANKS FOR ALL THE IMPORTANT REMINDERS ON HOW TO BE HEART HEALTHY!!!!!!! Certainly, Theresa, We will be huckleberry friends forever. Where do you find huckleberries? That was my question too. As the posting said, I have a friend who picked them in the wild and sold them on the street corner as a child. We will have hike in the woods until we find some. It sounds like the perfect way to get some exercise in! Thank you for your response. I will be your huckleberry friend, always. Where do you find them? We found them in Banff, Alberta Canada. Too far for us to pick them today! Infact we had the delicious huckleberry syrup on our pancakes one morning. A deep rich flavor…pretty darn close to blueberries. Thank you, for the once again, fun and interesting blog. Hey Huckleberry Friend! I KNEW you would have the answer as to where to find the huckleberries! THANK YOU! I think I need to take a trip to Canada now. I will add that to my Bucket List! I wonder how far that is from HEARTSISTERS‘ Huckleberry friend, Carolyn? YES! You must EXERCISE to be my huckleberry friend because I only want what is best for you, dear huckleberry friend! Be can do it as long as we are together. I want you to take care of your heart. I, too, will be your “huckleberry:. I will hike with you in the woods to find them. Although I am not a big fan of fruits, I may try one. Canada would be good, especially in late August – less bugs!! Can they be found in the winter in the snow, perhaps? HoooooRAY! Thanks, Kris, and a fine huckleberry you will be! I am looking forward to our hike already, but I AM ABSOLUTELY CERTAIN they cannot be found in the winter, and certainly not with snow. I love the plan of an adventure in Canada in late August. Happy Huckleberry (Valentine’s) Day, dear friend. Hey Huckleberry Marge! YES! YES! YES! I bet huckleberries grow in the wild somewhere around you. I know where to find the Butterfinger fudge so I can bring that along with me when we go hiking for the huckleberries. I CAN HARDLY WAIT! Be One in a Million Hearts.